Inspired by this blog entry, here's artwork I did last Wednesday for The Sydney Morning Herald (above) to illustrate a columnist's projection for the New Year. Whatever, money is handy but not always fun. For me money is compressed human energy and human energy is precious so I try to trade wisely. Fun doesn't necessarily need money but it's good to have fun with or without money. So let's start the new year with fun. To attract more circles, doodle on circles;-) Try to do something similar to my doodle (above image) and show me your works. (Send them to my Gmail account below; not more than 150 kb in jpeg format. 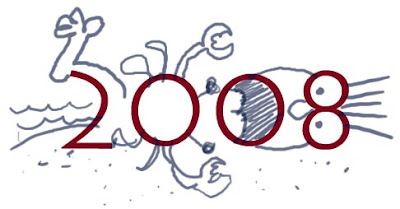 Use contrasting colours, using a different ink from 2008). 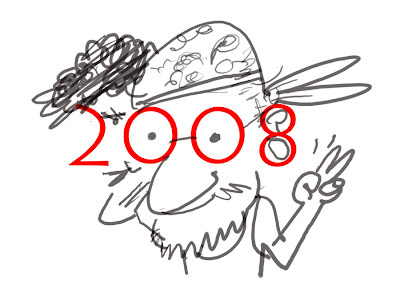 I hope to publish doodles I receive in this blog. 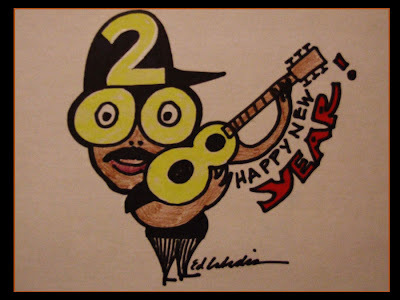 I got a few submissions of 2008 doodles, including two from brother Ricky (Baby Brandon & Big Break ). Also from Rod Samonte (above image) and Ed Labadia (below) who submitted wonderful digital illustrations (something like developed doodles;-). Both are members of Banggaan Art Group. Tante Tagamolila, also a Banggaan member sent us this one (below). Are they cheeseballs on its back? 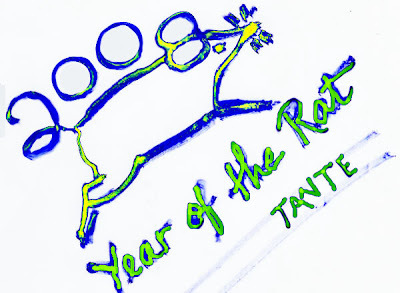 ;-) It's going to be a happy Year of the Rat after all. 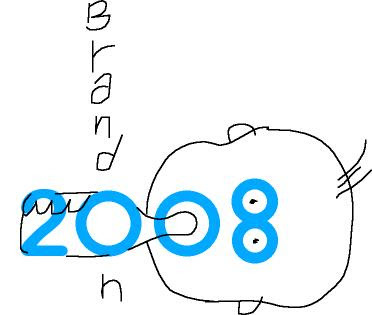 My partner also took a video of me doodling around with the numbers 2008 and the possibilites are limitless.